Grateful Heart Tees Only $13.99!!! October 2, 2017 by Cheree' Leave a Comment This post may contain affiliate links, which means if you click on a link and purchase something, I may earn a small commission (at no additional cost to you.) See my disclosure policy HERE. These tees are soooo stinkin' cute!! 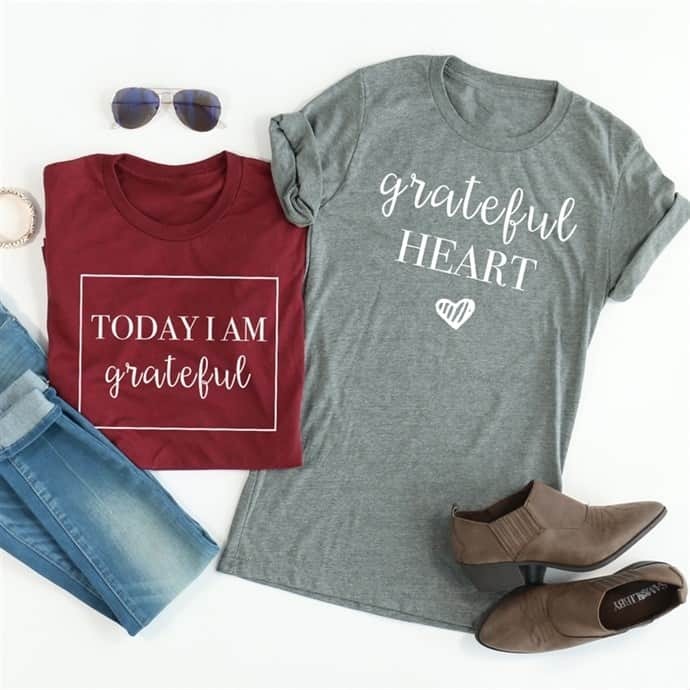 Head over to jane.com for these ADORABLE grateful heart tees! Show everyone what you are Grateful for with these SUPER CUTE Grateful Heart Tees! You will love the way these look and feel! Wear them with your favorite flannel or cardigan, jeans, and boots for the perfect outfit!